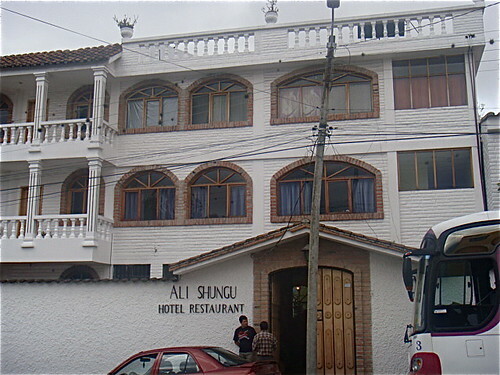 Our Ecuador Spanish course offers a secret that can help keep up in a fast changing world. See thirteen important demographic facts below that apply to everyone who has an interest in business and investing. These facts also reinforce the importance of Spanish as a second language. Most of the western world is multi lingual… except North America. Ideally everyone that moved to North America would learn English…. just as North Americans moving to South America should learn Spanish. This does not happen in the real world. Canadians do better if they have some French and Americans… Spanish. 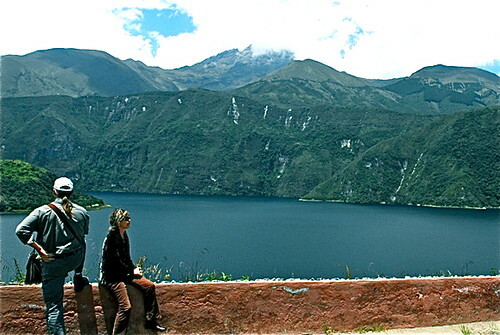 Enjoy the beauty of Ecuador as you learn. Whether we like it or not… knowing some Spanish makes us more competitive in our day to day multi lingual world. Technology and the earth’s growing population makes the global economy of increasing importance to mankind’s evolution. This will increase, not decrease the clash of languages. Spanish is the second most spoken language and its importance is growing in the USA. Here are 13 of 23 facts presented by the Spanish Translation Service that shows why we dare not be a one language person in a multi lingual world. 1. According to the 2000 Census, for the first time, non-Hispanic whites are the minority population in the 100 largest U.S. cities. 2. The US Census Bureau predicts that ethnic minorities, encompassing African Americans, Hispanics, and Asian Americans, will represent more than half of the US population by 2040. 3. Latinos (35 million strong) have increased their presence in the U.S. population by 58% over the last 10 years, and recently surpassed African Americans as the largest ethnic minority (2000 U.S. Census,). While non-white Hispanic population grew by 3%. 4. Hispanics are the fastest growing minority group in the U.S. and are projected to contribute two-thirds to the growth in the size of the high-school-age population over the next decade (U.S. Dept. of Education). 5. In 2000, one of every five new entrants into the workforce was Hispanic (Census). 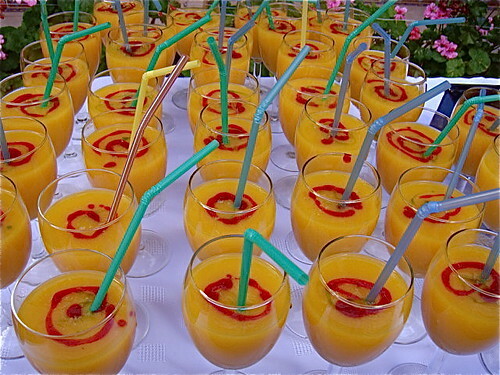 Enjoy great food during meals and coffee breaks like this fresh mango and raspberry juice. 6. In California, the Hispanic/Latino minority population has now become the majority (huge language implications). 7. Gregory Spencer of the Census Bureau was quoted in newspapers citing changes in the workplace and marketplace and said “if you want to sell things and go where the growth is, about half of your market will be people in their 50’s, and the other half will be the Hispanic and Asian populations.” According to the Census in 1996 Latinos and Asians will represent more than half of the U.S. population growth every year for the next 50 years. Source: Census Bureau, 1996. 8. The Latino population alone is now 35 million strong in the U.S. with over $45 billion in buying power (2000 Howell). 9. By 2050, the Census Bureau projects, Hispanics will be about a quarter of the U.S. population and blacks less than a sixth. next door to Meson de las Flores. 10. Hispanic American purchasing power is growing at two times the rate of general public. 11. Latinos grew at four times the rate as the national population between 2000 and 2002, according to information released this week by the U.S. Census Bureau (2003 DiversityInc.com). 12. “The official population estimates now indicate that the Hispanic community is the nation’s largest minority community,” said Census Bureau Director Louis Kincannon in a statement (2003 DiversityInc.com). 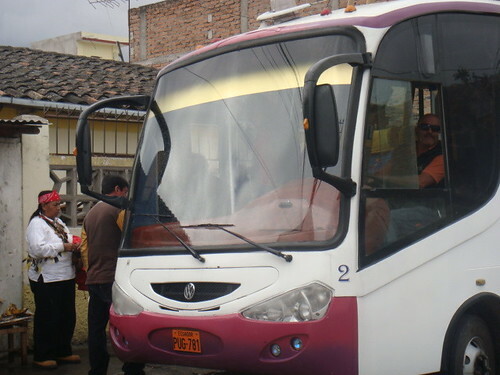 We travel to markets each day and on our real estate tours by luxury coach. 13. While the U.S. population as a whole is getting older because of the aging Baby-Boomer population, the Latino population is getting younger. More than one-in-three (34.4 percent) of the Latino population in the United States is under the age of 18. This ranges from 37.1 percent of Mexican Americans below the age of 18 to 19.6 percent for Cuban Americans below that age. Spanish is the second most important language in the world. Yet our educational system did not teach us how to communicate with or understand this culture. Learning Spanish is valuable, important and can be fun! You can attend our last 2009 Super Thinking + Spanish course (that helps you learn Spanish in less than a week) this September 17 to 22, 2009. (Arrive Quito Sept. 16. Depart Sept. 22 or 23, 2009). 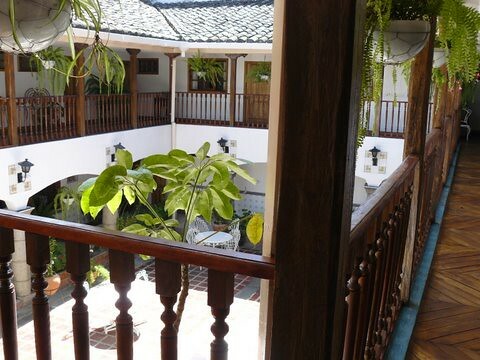 Even better we have created a special program so you can also attend our September real estate tours, that take place right after the Spanish course, (September 23 – 24 Ibarra real estate tour and September 25-28 Ecuador coastal real estate tour) at a substantial discount. 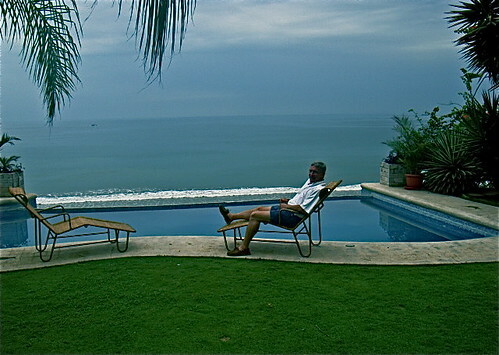 Enjoy up to 11 days of great Ecuador weather, solve one of the biggest communications problems that face a great deal of the English speaking civilization, plus learn the Ecuador real estate markets. 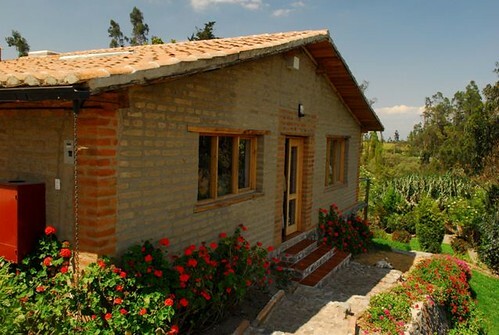 This is way to enjoy the cool mountains, bask in the warm Andean sun and learn Spanish and Ecuador real estate. This allows you to really zero in and refine Spanish with the Spanish course first. 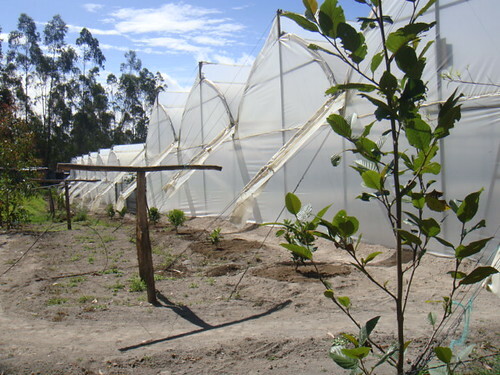 Then you put what they have learned into practice the remaining days they are in Ecuador. To attend all three courses would normally cost $1,797 for one person or $2,497 for a couple. 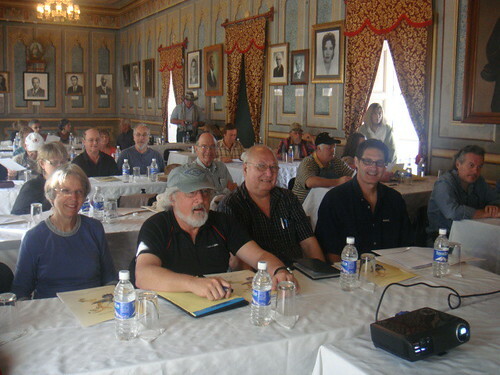 This price compared to many seminars is already low and represents a considerable savings. Under our special multi course adventure you can save up to $648. This makes it entirely possible to spend time in Ecuador, gain valuable knowledge about health and wealth, plus perfect your Spanish. We hope you will join us in Ecuador. 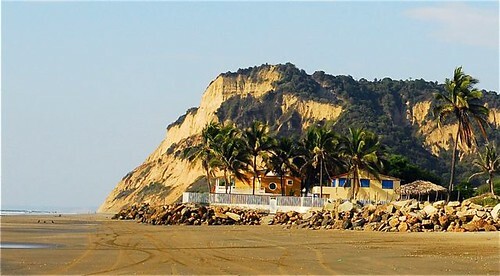 September 25-28 Ecuador coastal real estate tour $499 or $749 couple. Enroll here. Here are your multi tour savings. 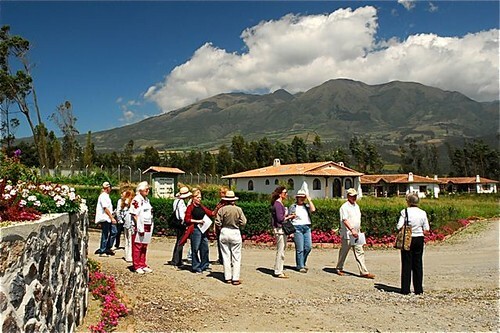 Attend any two Ecuador courses or tours…$999 for one. (save $299). $1,399 for two (save $349). $1,749 for two (save $648). Read all 23 facts presented by the Spanish Translation Service that shows why we dare not be a one language person in a multi lingual world.